Theresa Landrum lives near the Marathon oil refinery, seen in the background. 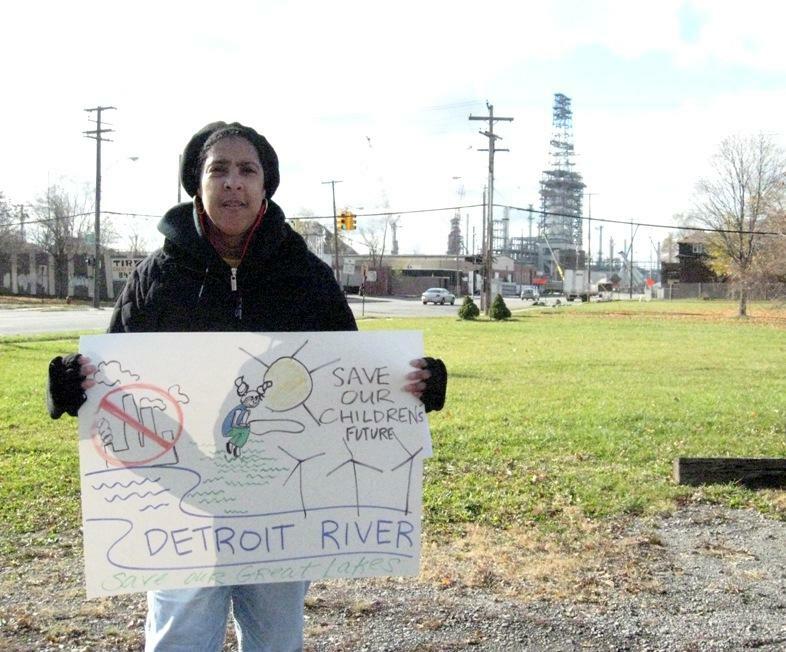 Jackie Smith lives just a couple of blocks from the refinery. She says it’s not just people living near the proposed pipeline who should be worried. "Crude oil from Canada is the dirtiest oil to refine. We do know this," said Smith. "And don’t be fooled by it, because pollution don’t have no boundaries, and it will finally come to your neighborhood." Officials with Marathon say the refinery will continue to operate within allowable air pollution limits. The company says technology upgrades mean the plant will actually have fewer emissions when the expansion is complete than it did in 2004.